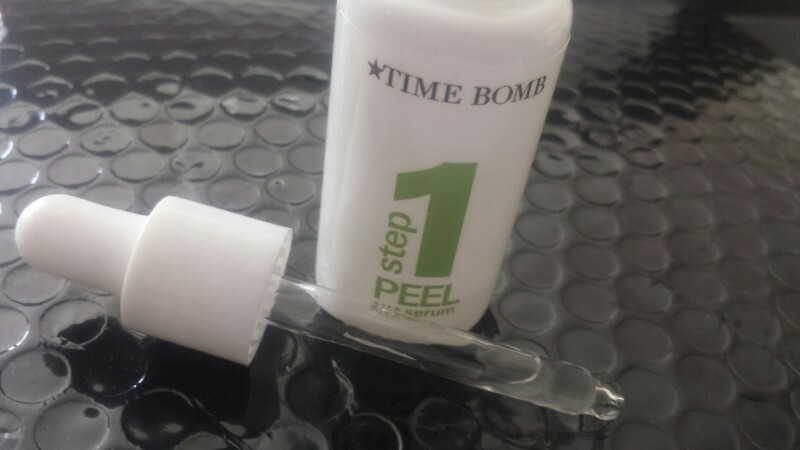 One of my all time favourite products is –TIME BOMB Blast to the Past Dermabrasion I have been using it weekly for a couple of years- well now it has been updated and is now a 2 step weekly treatment,Time Bomb Throwback Thursday Overnight Peel and Reveal Step 1 being Peel, and Step 2 Reveal. Throwback Thursday aims to reduce the look of pores ,fine lines and hyper-pigmentation. Why Thursday? Well it seems the ideal time to apply is Thursday night – so that you reveal fresher, younger looking skin for the weekend. I’m awkward – I decided to try it out on a Sunday to have a fresh faced Monday! So how does Throwback Thursday Overnight Peel and Reveal work? Step 1 Peel AHA serum. At bedtime you apply 1-2 dropperful of the serum in a thin layer over your face (avoiding the eyes) using your fingertips. It is extremely light. My skin tingled slightly. The serum contains a blend of chemical and fruit acids and overnight dissolves the ‘glue’ that holds the top layer of dead, dull skin cells on the surface of your skin. In the morning you massage a penny sixed amount of the dermabrasion cream in circular motions on lightly dampened skin and rinse thoroughly with warm water. The crystals in the cream buff away the loosened layer of dead skin cells. This is an extremely gentle treatment, leaving skin feel very soft and smooth. You do not physically see the skin peel, it is not all harsh, it just leaves your skin looking a lot fresher…make-up glides on really smoothly and evenly afterwards . 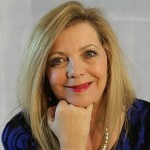 My skin looked and felt as though it had had a salon treatment – but with minimal fuss and no down time. 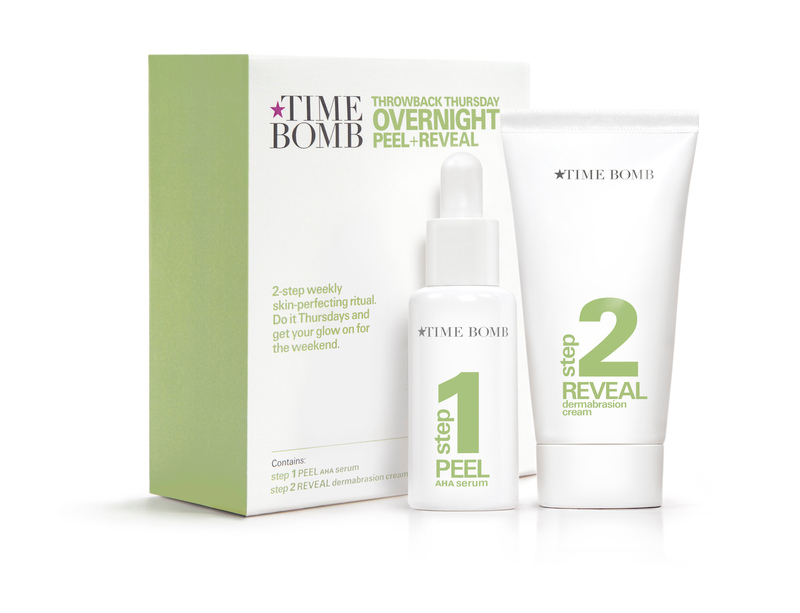 Time Bomb Throwback Thursday Overnight Peel and Reveal Kit costs £48. As I have only used it the once I cannot say how many treatments you will get out of each kit – the original Blast to the Past used to last me 3-4 months when used weekly, so anticipate that this will be similar.